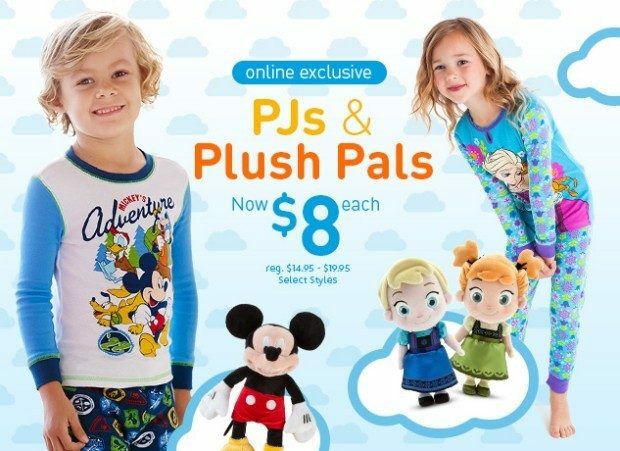 Disney Online Store PJs and Plush Pals Only $8! You are here: Home / Great Deals / Disney Online Store PJs and Plush Pals Only $8! These Disney plush pals are the toddler version of the characters your children love! Ranging in size from 10 to 15 inches tall, they are the perfect huggable size for your little guys! The PJ Pals for boys and girls will send your little ones off to dreamland with their favorite pals! You can get either of these Disney Online Store PJs and Plush Pals for Only $8!